Auburn Village by Capital Pacific is a mixed use residential and commercial planned unit development in Granite Bay, CA at the intersection of Auburn Folsom Road and Fuller Drive. The project includes 30,000 sq.ft. 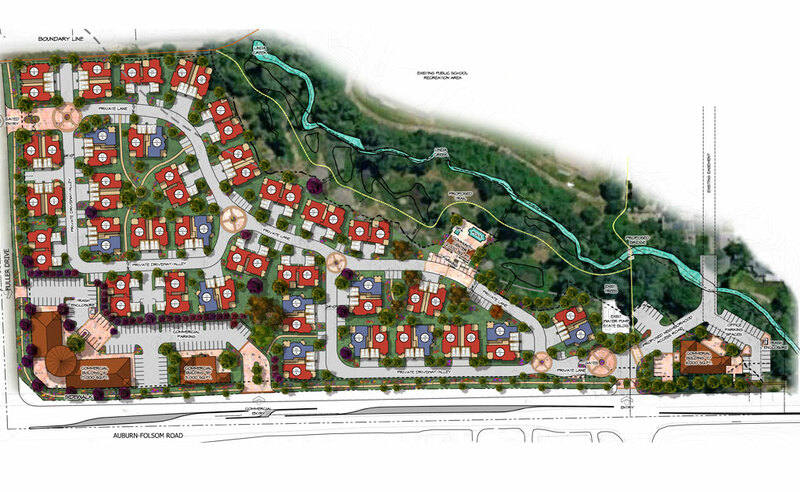 of retail and office space along a major public corridor which buffers the traffic impact and noise from the 66 planned residential duplex units that border an active creek and nature preserve. 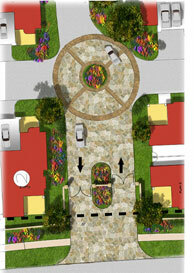 The residential unit plans are designed for middle market senior housing. The land plan allows for passive greenbelts and trails for pedestrian access to the community center, pool, nature preserve, and creek as well as the retail center with boutique shopping and deli.